In this application note we show how very low impedance values can be measured using the Bode 100. The impedance values of current sensing resistors are generally in the range of several milliohms. Measuring the high frequency characteristics of such a device can be a challenging task. 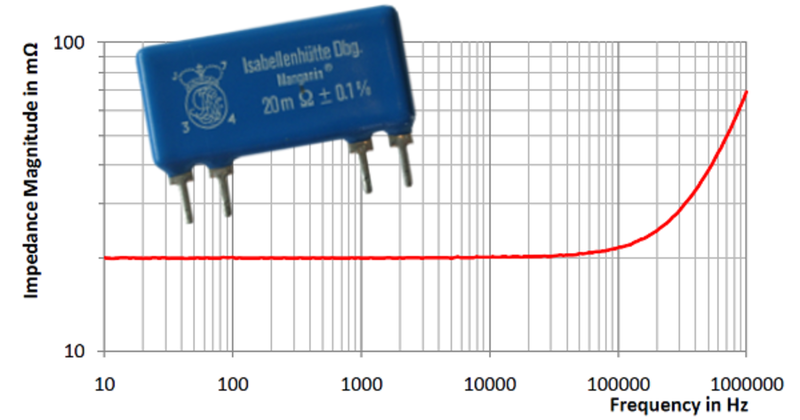 In these application notes we show two different methods where we use the Bode 100 to measure the impedance of 20 mΩ resistors. Please Note: The Shunt-Thru measurement method is the prefered method for very low impedance measurements at high frequencies. BAS 3.X directly supports Shunt-Thru.